Ligeti wrote his electronic piece, Artikulation, in 1958. Although it existed as a recording, there was no score for musicians to 'see' the music. 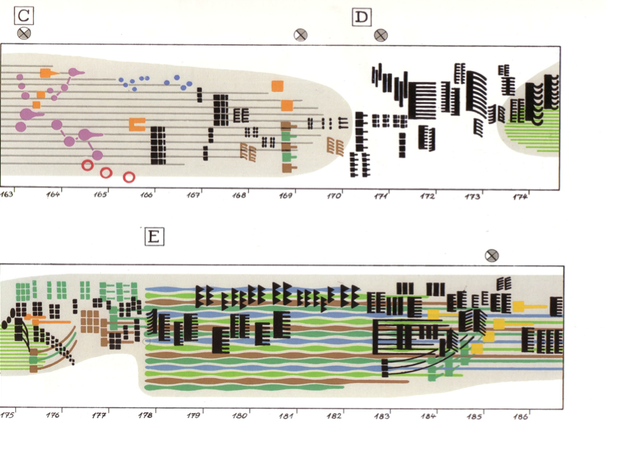 Rainer Wehinger studied the piece in the 1970s and created this colourful explanation of the music, with a vast key explaining all the colours and symbols.